Growing up I always felt like I didn’t fit in and things just never seemed to go my way. I was an outcast at school, had a toxic relationship with my mother and developed an eating disorder in my late teens. Once I left school and went out into the big, wide world, I managed to make things worse and got myself into roughly $30k of debt. And then, a few years ago, I experienced something that completely changed my life. I had been with my partner for 2 years, we were engaged and had moved back to his home country, Canada, where we met. Looking back there were so many signs that should have told me to get out immediately, but I didn’t. The relationship ended when he became physically abusive one night and I ended up in hospital with 5 stitches down my nose. The journey out of that relationship was the hardest thing I have ever done in my life. It took a long time for me to see the light at the end of the tunnel, but I decided that I would not become a victim of my circumstances and did everything I could to prove that I was better than what I had experienced. Eventually I started to realise that if I wanted to experience a change in my life, I had to make it happen. If I wanted to be happier, I had to take control and own my happiness. I learned to take control of my reality and create the life I want on my own terms. I had to make some big changes if I wanted to experience the life I was dreaming of and be successful. I accepted that it was OK that I didn’t want the things society was telling me I should want. The idea of waking up every day to go to a job and be told what to do, think and be was not what I saw for myself. I did it when I needed to, but I always had a niggling feeling inside me that I could create the life I wanted on my own terms. And that I would have a huge impact on the world and help other women in the process. After a lot of inner work and exploration, I came to realise that it’s absolutely ok that I don’t want the things society tells me I should want. I can do what I want to create a life that is authentic to me, and I don’t have to follow anyone else’s path to get there. I still didn’t know what the future held for me, but I knew that I was going to create my own future and my own version of success. I also knew that the first step I needed to take was to create change within myself to truly understand and love who I am. As soon as I started doing the inner work, my whole life began to change. I wasn’t so angry all the time, I stopped feeling sorry for myself and as though I was the victim of life’s horrible experiences. Once I had decided that I was going to create my own version of success, I had to confront all of the fears and limiting beliefs that were standing in my way. I learned that the only thing stopping me from achieving my goals and creating a life I love is my own mindset. Mastering your mind and overcoming fears and limiting beliefs is an ongoing process, and there is never really an end. But the more you work on it the easier it gets, and honestly, if what you’re doing isn’t scaring you, you’re probably not aiming high enough. 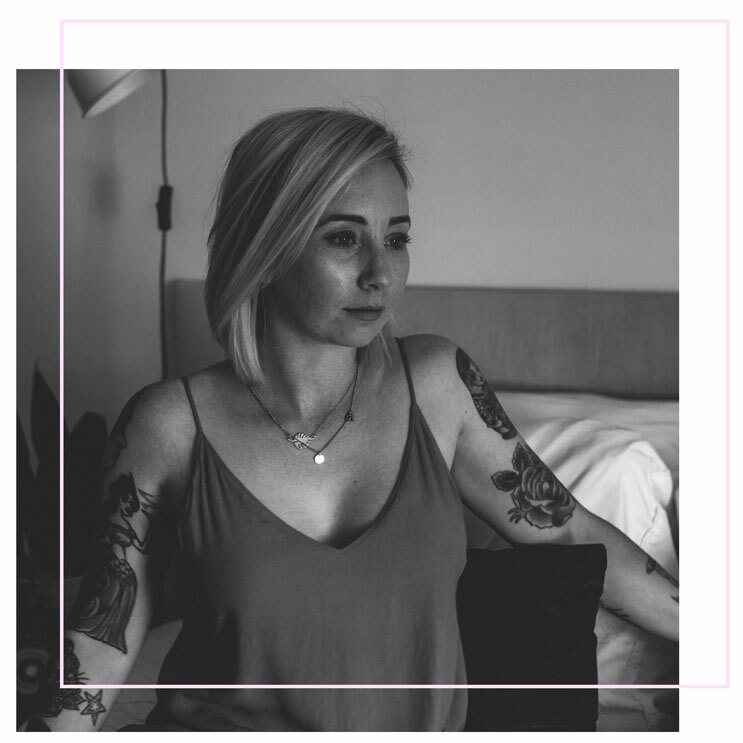 I’ve experienced a few challenging situations in my life; depression as a child and teen, an eating disorder, a physically and emotionally abusive relationship, no relationship with my mother. Feeling like you’re not good enough and will never have a good life is heartbreaking, I’ve been there. But I realised that although the things I experienced were not great, they made me the person I am today. I used the fact the I had overcome the challenging experiences in my life as fuel to prove that I could overcome any limitations that I or anyone else has set for me. I decided that I was going to create my own version of success and live life on my own terms, and I’m passionate about helping you do the same thing. I love helping women follow the path less travelled and to see that it is possible for them to have the life they want, while doing what they love. You can have what you want. You’re one of the people who creates the life she dreams of and gets to live it every day! I’m here to help you on your journey and support you along the way. I want to help you overcome any spiritual, emotional or financial limitations so that you can create your own path and get the success that’s rightfully yours. Your fears, limiting beliefs and challenges don’t have to weigh you down anymore. It’s time to shed the BS and live your dreams. I coach radically impactful female entrepreneurs and help them get clear on what they want, why they want it, and how they’re going to get it. The overwhelm of starting a business and being a #girlboss can make the path a little cloudy, sometimes to the point that we just don’t know what the next best step is and just stop moving altogether. You know what you need to do, but you’re just not doing it. Once you clear away the fears, excuses and limitations that are swirling around in your head, you can start moving forward and begin expanding instead of contracting. This is your life, these are your dreams, this is your success. You’re the only one who can take action and make it happen. You have all the confidence, courage, knowledge, passion and purpose already within you, you just need to let it shine through. My mission, my purpose, my success is to show you that it’s possible for you to accept your brilliance and step out into the world to take your dreams like it’s a piece of cake. It’s your time. I’m here for you and I believe in you. Follow the link and let’s chat!